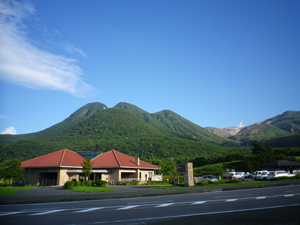 We have guide book of Aso-Kuju National Park. Click the link below to view in PDF Format. 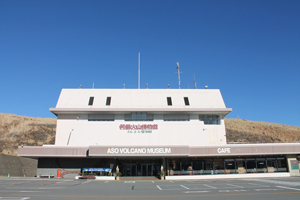 The Aso Volcano Museum, located at Kamikusa-senrigahama, Mt. Aso, is a facility for learning everything about Aso: its volcanic activity, plants and animals, hot springs, grasslands, and more. In addition to touring the center, visitors can enjoy the nature of the surrounding area through the Volcano Experience Program. Housing two facilities, the Grassland Education Centre and the Grassland Information Centre, the Aso Grassland Conservation Centre is a site where visitors can learn about, study, and protect the grasslands of Aso through a variety of activities. The Centre offers a variety of services, including use for school education or excursions, consultation on educational program creation, dissemination of information on grasslands and tourism, and eco-tourism. 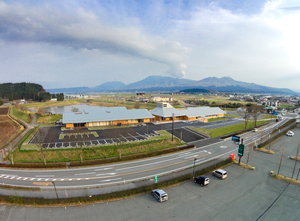 As an activity site for the Aso region, the Minamiaso Visiter Center is a facility that introduces visitors to the attractions of Aso and offers opportunities to enjoy nature. The center houses staff who are experts in interaction with nature, letting visitors experience nature at any time. 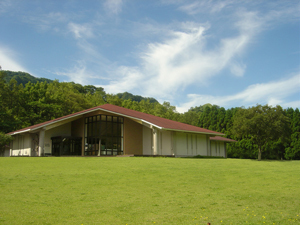 The center also engages in a variety of events, focused on the neighboring Aso-yasoen Garden. The entranceway to the Kuju area, the Chojabaru Visitor Center is a mini-museum that offers an easy-to-understand introduction to the nature of the area through models, specimens, photos, videos, and more. The Center is also connected to the nature trail that leads directly to the Tadewara Moor, letting visitors experience nature close-up through the changes of the four seasons.